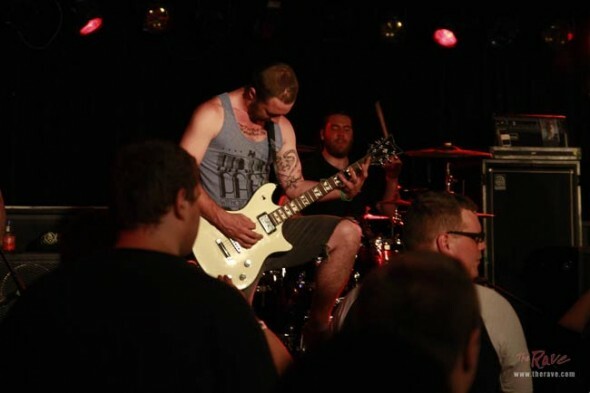 Our sponsored/endorsed band Heavyarms played a show last week right here at The Rave in Milwaukee, WI. In attendance was the likes of The Color Morale, Chiodos and, as seen in the youtube video above, Close To Home. Not only did the Heavyarms guys absolutely tear the stage apart and rep Nick Hammond Design proudly, as also seen above, but JJ from Close To Home was rockin our Life of the Party tank as well! Close To Home has an absolutely amazing following in the music scene and it was a privilege to have seen our stuff on stage with them. We’re goin’ for gold here at Nick Hammond Design as we progress on the designs for our fall/winter line of clothing. Our goal is to become nothing short of the newest, and most successful, design and indie clothing company to date. See our current team roster by heading over to the “Team” tab of our site and checking up on who will be wearing NHD Clothing proudly during our next release. More design updates to come in the next couple of days as this summer has been heating up! p.s. We also recently surpassed the 2,000 followers mark on Twitter and are gaining momentum with our Facebook page as well. Click the links to be redirected and “like” or “follow” us to see what we’re up to BEFORE it hits the site! There may even be an interview coming up which will have some more, never before released, info about our upcoming line of clothing.